– The NFL owners passed a CBA yesterday, but the players have yet to vote on it. I highly doubt they’ll agree to the proposal. Reports say the deal heavily favors the owners. Knowing well that the players won’t agree to the deal, this was likely just a public relations move by the league. – The Jets announced yesterday that they hired former Colts offensive coordinator Tom Moore as a consultant. I love the move. Let’s hope he can do to Mark Sanchez what he did to Peyton Manning. – Sources say that NL East teams are interested in Carlos Beltran. The Daily News says the Mets could trade Carlos to the Phillies or Braves, despite rivalries with both teams. I believe this is a smart move by the Mets. – As we reported yesterday, the Rangers have re-signed Brandon Dubinsky to a four-year deal worth $16.8 million. Considering this year’s free agency market, this is a great deal for the Rangers. Dubinsky could be a legitimate 30 goal scorer in this league if he reaches his potential. If not, the Rangers will settle for a hard-working 20-25 goal scorer who gives his all every night. You’ll rarely see a game that Dubinsky doesn’t make an impact in some way or another. 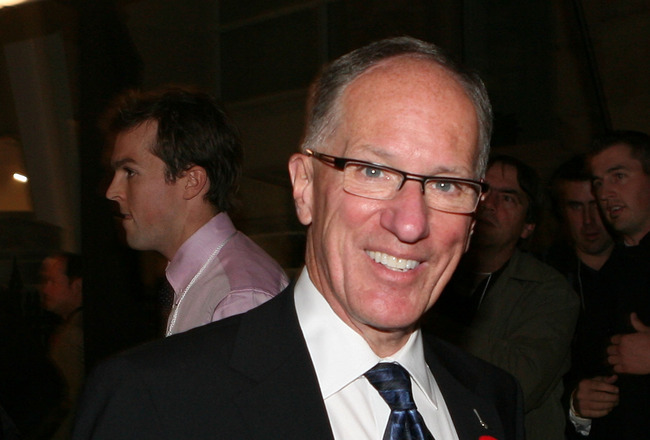 – Announcer Doc Emrick announced yesterday that he is leaving the Devils for a full-time role with NBC/Versus. He was without a doubt one of the best announcers in the league every year he was with the Devils. Good luck to him, and I can’t wait to see him take on a more prominent role in nationally televised games. Doc spend 21 years as a play-by-play man for the Devils. – The NFL lockout was expected to be over by July 21, but there will be no deal today or anytime soon, according to various sources. Seahawks guard Chester Pitts even said that a deal won’t happen for another two weeks. That would be a disaster. – There have been conflicting reports of a possible vote on a proposed CBA. Some have said a vote will take place soon, while others say the two sides are far apart. It’s hard what to believe anymore concerning the lockout. A week ago we thought a deal would be done today, and now we have no idea when a deal will get done. – The NBA lockout is still on, and there is no end in site. A hard cap and changes to the revenue system are almost assuredly going to keep a new CBA from being agreed upon before this season. It still wouldn’t surprise me if all of this season is missed. – The Yankees have won two out of three games against Tampa Bay this week, with the final game of the series tonight. The Rays are now eight games out of first place. The Bombers head back home Friday for a weekend series against the A’s. – It’s safe to say that the Mets are now out of contention for a playoff spot. At seven and a half games back in the wild card race, there is no hope for the Mets. 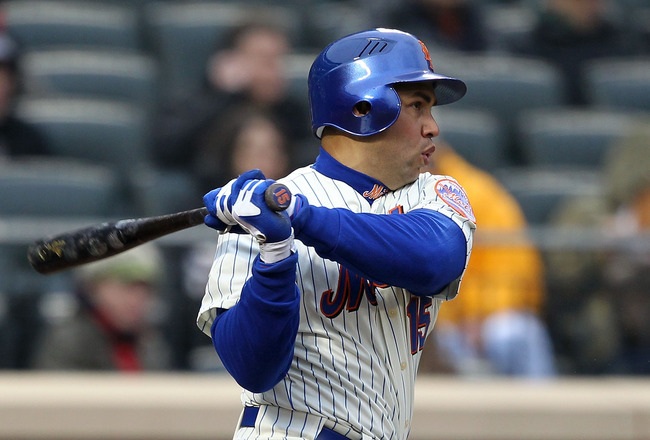 Carlos Beltran is the number one asset the Mets should look to trade away. I don’t see anyway he doesn’t get dealt by the July 31 trading deadline. – There has been talking about shipping Beltran to the Phillies for Domonic Brown. This would be a great move in my opinion, despite the fact it may help the Phillies win a championship. The Mets have to do anything to get better for the future, and a trade for Brown would certainly help do that. 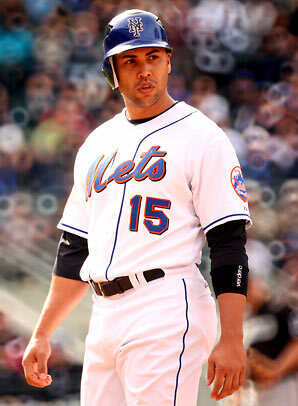 Carlos Beltran's days in New York are numbered. – The NFL lockout is still on, but it is expected to end any day now. I personally wouldn’t be surprised if today is the day a deal gets done. Negotiations are being held up by the Brady vs NFL anti-trust lawsuit, but hopefully everything will be resolved quickly. – Meanwhile, the NBA lockout has no end in sight. The Knicks will open up at home against the Heat if the season starts on time, but that’s very unlikely. I fully expect to miss at least half the season. I’d say at this point it’s likely we don’t see another NBA game until the 2012-2013 season. Games are going to have to be missed before one side caves in their demands. – Antonio Cromartie said that he wouldn’t give the Jets a hometown discount, which shouldn’t be surprising to any Jets fans. Cromartie has always come off as a guy who would easily leave to go get money somewhere else. It will hurt the Jets if he leaves, but the team can definitely do without him. If his departure leads to the re-signing of Santonio Holmes and Braylon Edwards, it may be a good thing. – Peter DeBoer is the new head coach of the Devils. I don’t expect him to last more than three months, as it’s customary that Devils coaches don’t last the whole season. – The Lightning and Steven Stamkos have reached a five-year deal. As I said all along, there was no way Steve Yzerman was going to move him. – The Yankees and Mets have discussed a possible Carlos Beltran trade, but it remains unlikely at this point. I believe the Mets should not shy away from possibly trading with the Yankees, Braves, or Phillies. They would only be hurting themselves by not taking the best deal possible. – More and more teams seem to have interest in Ubaldo Jimenez, although there is no reason to believe the Rockies will trade him. For more on the two lockouts, NFL free agency, and more, follow us on Twitter and Facebook. Could Carlos Beltran be wearing a different set of pinstripes within the next week and a half? Beltran Trade Tumors Heating Up! 1) Anthony Ranaudo, RHP, Grade B: Could rise a notch or two if he proves fully healthy in pro ball. 2) Drake Britton, LHP, Grade B: Could also rise a notch or two if he handles increased workload well. 3) Jose Iglesias, SS, Grade B: Won’t have much fantasy value, but in real baseball he will hold a job for a long time due to his glove and line drive hitting. 4) Josh Reddick, OF, Grade B-: Power potential remains, but plate discipline is a big issue. 5) Stolmy Pimentel, RHP, Grade B-: Projects as a solid number three starter for me. 6) Garin Cecchini, 3B, Grade B-: Grade could/should rise once we get some pro data to make sure he’s as good as the scouting reports. 7) Oscar Tejeda, 2B, Grade B-: I think the breakout is real. 8) Brandon Workman, RHP, Grade B-: Future workhorse starter. 9) Ryan Lavarnway, C, Grade B-: The power is legit, defense not great but not awful if he hits enough. 10) Kolbrin Vitek, 3B, Grade B-: Defense needs a lot of work, but I think the bat will be fine. 11) Chris Balcom-Miller, RHP, Grade B-: One of the best-kept secrets in the minor leagues and my pick for a big breakout in ’11. 12) Felix Doubront, LHP, Grade C+: Borderline B-, a useful lefty arm that can start or relieve. 13) Michael Bowden, RHP, Grade C+: Another flexible pitcher who can start or relieve and is ready now. 14) Will Middlebrooks, 3B, Grade C+: Glove is very strong, offense is gradually improving but plate discipline will be tested in Double-A. 15) Yamaico Navarro, INF, Grade C+: Looks like he can be a fine backup infielder to me right now with a chance to still develop beyond that. 16) Luis Exposito, C, Grade C+: Should reach the majors later this year. No outstanding attributes, but a catcher with some power will stick around awhile. 17) Lars Anderson, 1B, Grade C+: Blocked now, will go back to Pawtucket, see if he can get hot enough to interest someone in a trade. Disappointing, but could still develop into useful platoon bat. 18) Kyle Weiland, RHP, Grade C+: Strike-throwing inning-eater type. 19) Sean Coyle, 2B, Grade C+: Interesting high school bat from ’10 class. 20) Henry Ramos, OF, Grade C+: Another sleeper prospect, ’10 draft pick from Puerto Rico looked great in rookie ball. OTHERS OF NOTE: Xander Bogaerts, SS; Bryce Brentz, OF; Keury De La Cruz, OF; Tim Federowicz, C; Alex Hassan, OF; Jeremy Hazelbaker, OF; Chris Hernandez, LHP; Pete Hissey, OF; Brandon Jacobs, OF; Che-Hsuan Lin, OF; Juan Carlos Linares, OF; Kendrick Perkins, OF; Mathew Price, RHP; Jason Rice, RHP; Manuel Rivera, LHP; Pete Ruiz, RHP; Kendal Volz, RHP; Alex Wilson, RHP; Madison Younginer, RHP. I believe if the Mets and Red Sox make this deal. the Red Sox would offer a top prospect ( in the top 10) and another PTBNL not in the top 15. With the deadline ending by July 31, the Mets will be fielding many calls from teams looking to improve their teams for the playoff run. Other teams that could have interest are the Texas Rangers, Cleveland Indians, Chicago White Sox and maybe the Philadelphia Phillies. 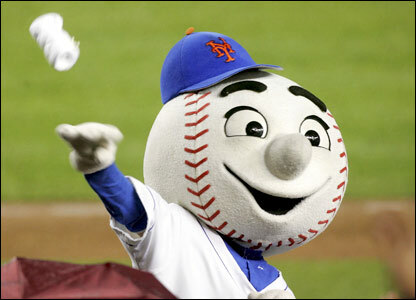 Although I don’t very much the Mets would want to improve the Phillies team and chances to go to the World Series. Nonetheless, the next 2 weeks will be interesting and there will be many reports/rumors of Beltran going to one team or another. Well, we are at the halfway point of the MLB season and the Mets have surprised many experts by posting a 41-40 record entering this weekend series against the Yankees. Also, surprising many experts has been the play of Carlos Beltran and the fact that he has played in more games than any other Met thus far this season. With a line of 12HRS/54RBI’S, Beltran is on pace to hit 24Hrs and 108 RBI’s, while playing a solid OF and hitting over .280. The latest trade rumor I’ve been hearing is that the Texas Rangers have interest in Beltran, which bolds well for the Mets; since the Rangers farm system ranks in the top 5 in MLB. 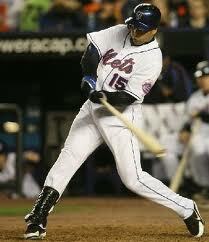 Despite the Mets success this season, Beltran needs to be dealt and the Rangers make a perfect match. If I was Alderson, I would want 2 prospects from the Rangers’ top-15. My selections would be Martin Perez (LHP, ranked #2) and Luke Jackson (RHP, ranked #14). The second Met that needs to be traded is K-Rod. The Mets would love to find a new home for him so his 2012 option year isn’t vested ($17.5). Krod has already agreed to move on to a contender, and what better contending team to trade him to in the Yankees. With injuries to Feliciano, Soriano and Chamberlain, the Yankees have expressed early interest in K-Rod and perhaps that interest is still attainable if both sides can agree on a fair package. My proposal trade would be Krod to the Yankees for Gary Sanchez (Catcher, ranked #2) and Graham Stoneburner (RHP, ranked #11). It’s no secret the Mets need to rebuild their farm system, which they have over the last few years, but still they rank in the middle of the pack. It’s also no secret the Mets lack depth in their system for pitching and catchers. The Rangers have depth in their system in pitching and the Yankees have 3 catching prospects in their top 10. Beltran could be that missing piece for the Rangers (playoffs) and could impact them like he did with Houston. Krod would certainly give the Yankees that needed bridge (8th inning) before Rivera and give the Yankees more options. Now before you think that the Mets are giving too much talent away for nothing, remember this: There are no guarantees when it comes to a prospects talent level once they reach the ML. Perez , Jackson, Sanchez and Stoneburner are graded high and if just one of these prospects develops into what many project them to be, then it’s obviously worth it. The Mets need to trade Beltran now and not let him walk to FA, because he has a clause in his contract that any team that signs him will not be liable for any compensation to the Mets. As for Krod, his $17.5 vesting option should be enough of a reason to trade him, don’t you think? Are the Mets Heading in the Right Direction? April 27, 2011 by Mike S.
Since the long-awaited departures of Omar Minaya and Jerry Manuel and replacing them with Sandy Alderson and Terry Collins. The Mets have changed the teams image and personnel through free agent , rule 5 signings and promotion from their farm system. Although the new management gave Perez and Castillo every opportunity to make the club out of spring training. The final decision of releasing both players was well overdue. Although some of Anderson’s decisions has failed (ie: Brad Emaus, Blaine Boyer), I still believe he is the right man for the job. Currently,The Mets are 10-13 and remain in the cellar of the NL east. However; with only 23 games played out of 162, we are a long way from this teams true identity. Last season, the Mets won 79 games and I still believe that despite of their early failures, they can win an additional 5-6 more games than last season. With a current lineup of Reyes/Murphy/Wright/Beltran/Bay/Davis/Thole/Pridie, this team has a well above ML lineup to be productive. Once Pagan returns healthy, they will be even better. The bullpen has bounced back and is providing that quality pitching in the late innings. The main question mark lies in the SP as Pelfrey/Niese/Dickey/Young/Capuano/and even Gee need to be more consistent as a staff. At this point, Pelfrey holds the key to this rotation if he can be more reliable in his starts. The Mets farm system has better talent than many have suggested. Unfortunately, most of the Mets talent is most likely 2-3 years away with players like (Harvey, Reese, Vaughn, Valdespin, Urbina, Ratiff, Den Dekker, Ceciliani, Martinez, Nieuwenhius, Familia, Duda, Mejia, Flores, Cohoon, Puello, Tejeda) just to name a few. Obviously, the biggest obstacle facing the Mets Organization is the current financial status of the Mets owners; the Wilpons. This is why, in my opinion Sandy Alderson was brought in and is the best man to help turn this franchise around. However; until this matter is settle, either by the Wilpons selling completely or selling at least half of their ownership. The Mets will need to be more focus on strengthen the farm system through the draft and look for mid-level low-cost free agents such as Young and Capuano to improve this team. Regardless of where the Mets are by the all-star break, some current players on the roster will be traded. Players like Beltran, Reyes, K-Rod, Pelfrey, Young and Capuano have been mentioned as possible trade bait. All in all, I like the direction the Mets are heading, I like the new image Alderson and Collins are projecting, I like the progression of Beltran, Davis, Thole, Murphy. I like the production out of Reyes, Wright, I like the contributions of Young , Capuano and Gee. Is this team heading in the right direction? Opinions may vary, but from where I’m standing; they are. Are happy days here again for the Mets?